Women in AV(WAVE) partners with TierPM, AV/IT’s leading workforce solution provider, to offer all females in ProAV the WAVECareerPledge to advance your career in AV! As females in a male-dominated industry, our challenges for furthering our careers are many and solutions aren’t always easily identifiable. Whether it’s a lack of time to focus on career development, uncertainty if we have the skills for a new position, or simply unaware of what options are available, just knowing where to begin can sometimes feel daunting. Women in AV (WAVE) and TierPM want to take the guesswork out of those questions by providing you with free, professional resources backed by a team of talented, expert technical recruiters available to assist with all of your job-seeking and career development needs. 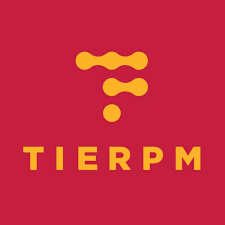 TierPM is AV/IT’s leading workforce solutions provider offering AV professionals and companies services in recruiting, staffing, application development, and project management. In collaboration with WAVE, TierPM will generously support any female seeking employment or career advancement in AV/IT with these services for free~ any time, any where, worldwide! We’re beyond grateful to TierPM’s Maura Quinn, Management Team, and fantastic Technical Recruiters for generously giving women the much-needed resources and expertise to ensure they thrive and succeed with careers in AV/IT. Never before has a tech-industry come together in offering women a concrete, decisive advantage for improving, not only our individual career paths, but, demonstrating ProAV’s commitment to creating more diversity and inclusion in our workplaces and industry. So, let’s take the WAVE Career Pledge ladies and get those jobs in AV! !